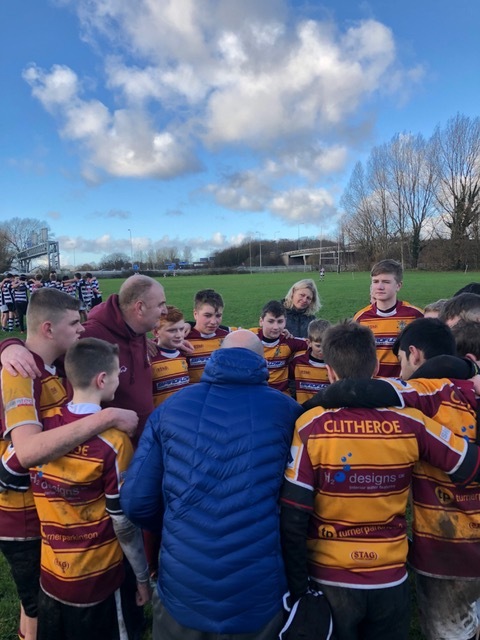 Clitheroe U14s travelled down to Greater Manchester to take on old friendly foes Eccles. Having lost by 35-30 last time these two evenly balanced teams met, it was going to be interesting to see whether the team's development so far this term would impact the result. Clitheroe were out of the traps immediately, with a raking kick-off putting Eccles under pressure in their own 22 before turning the ball over in the forwards to barge over and open up our account. Once the boys were ahead, they handled themselves with aplomb, keeping the pressure on Eccles at every opportunity. They led 17-7 after the first quarter hour, but refused to let Eccles back in despite them coming back strongly, opening up a 31-14 half time lead. The boys clearly learnt from their narrow defeat last time out, because rather than trying to defend a healthy lead, they were clearly up for extending what they had built. The first 10 minutes or so of the second half were robust from both teams, trading good tries at each end, but Clitheroe kept their composure and structure better and eventually forced their hosts onto the back-foot with a rash of tries in quick succession. At the three quarter mark both teams had added two converted tries to make the score 43-28, but in the last 15 minutes the boys in maroon and gold dominated possession and position, scoring a further 5 unanswered tries to run away 70-28 winners. For once, I'm not going to name individuals or recount all twelve (yes 12) tries we scored! Sufficed to say that this was a complete team display, with strong forward play, dominance in the ruck and breakdown, much improved tackling and huge variety in attacking options used. The boys are starting to think their way through games far better, identifying weaknesses in the opposition line and coming up with plays on the hoof. Eccles were a strong and capable opponent, but we outplayed them throughout the game. Some moves worked better than others, but the boys are definitely trying to vary their play in games. Points to work on: We need to get Benji back down to work with the scrum, which was a bit patchy today and we still (arguably) ran towards trouble on occasion, but hey - I wouldn't be the coach if I didn't nitpick!! As Guy summed up at the end, the boys shifted gear this morning, finding a new grit and doggedness we haven't seen before. They scrapped for every ball and the pressure they exerted forced Eccles into a good number of mistakes, which we capitalised on. Well done boys - I am hugely proud of each and every one of you. 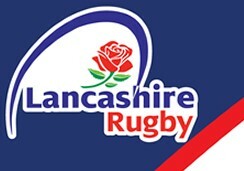 Training Wednesday before a final trip of the year, away to Garstang next Sunday.